The Small Group Mentoring Program is designed to bring together faculty members who contribute to the diversity of their department or field and who share an interest in a broad topic, a discipline or broader disciplinary group (e.g., “engineering”) or a career stage (assistant or associate professor). The goal is to move the group members’ careers forward by providing mentorship and support on issues relevant to a member of the professoriate. Emphasis is placed on sharing best practices and tools to achieve positive outcomes. Some groups may choose to focus on a particular activity (e.g., writing), while others may organize around discussions of various professional concerns (e.g., managing graduate students, writing successful grant proposals, teaching strategies, starting research programs, mentoring graduate students, maintaining work-life balance, accepting service opportunities, or transitioning into leadership roles). Each group will include a colleague who is senior to the other group members and who has had enough experience at Cornell to offer useful “local” advice, i.e., a predominantly pre-tenure group may choose an associate or full professor; a group of associate professors should have a full professor mentor. OFDD will contribute up to $20 per person per meeting for refreshments, not including alcohol. It will also offer modest compensation to the senior faculty mentor. Mentor guidelines are available here. A mentor and the justification for choosing this mentor. 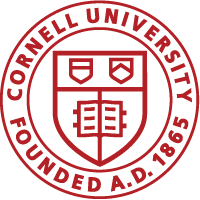 Applications should be submitted to the Office of Faculty Development and Diversity (ofdd@cornell.edu) and will be considered for funding on a rolling basis.